The Short Version: Instant Chemistry has broken down the science of attraction and compatibility to help couples understand their relationships on a whole new level. This simple genetic testing kit goes deep beneath the surface to identify the specific personality traits that lead to chemistry between two people. Instant Chemistry compares and analyzes a couple’s genetic samples to create a detailed and insightful report of their relationship strengths and weaknesses. Have you ever met someone and hit it off immediately? Everything lines up. You have so much in common that conversation flows easily. You’re practically finishing each other’s sentences, and you both can tell something special is happening. You just get one another. Those magical moments make for the best first dates and often lead to longstanding relationships. These compatible couples may not be able to express why the relationship works, but they know it does. Some couples think the mystery of their special connections is written in the stars, but maybe it’s written in their genes. One company has made an effort to decode and translate a tale as old as time. 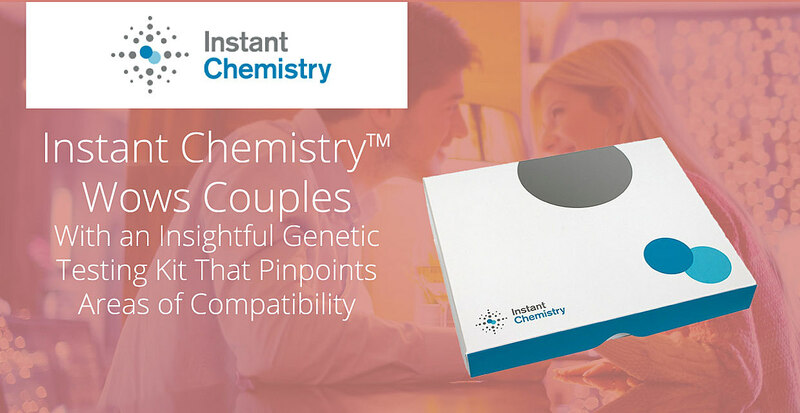 Instant Chemistry has pioneered a genetic testing kit that can reveal compatibility between couples and put the magic of relationships into clear, easy-to-understand terms. This company uses scientific data to identify the specific characteristics that match up and make you and your partner meant to be. By using scientific methods, Instant Chemistry has helped unlock the secrets of romantic relationships. Instant Chemistry’s compatibility assessments offer a positive look at everything you and your significant other have in common and all the genetic factors favoring your longevity as a couple. Whether you’re just starting to date or have been together for decades, you can use this genetic test to understand your relationship on a fundamental level. It doesn’t take a Ph.D. in psychology to understand how the Instant Chemistry system works. You order your genetic testing kit, spit in the tube, and mail it back. If you’re taking the genetic test with another person, you should each spit in a separate tube. Then register an account on the company’s secure client portal where you can see your individual and relationship report in a few weeks. A team of scientists study the two genetic samples in the lab and put them through a series of tests to create a compatibility report. Instant Chemistry uses genetic information to identify inherent compatibility, and the lab’s results may surprise you. The report will first analyze your individual personality factors and then compare the two gene samples to assess overall compatibility. 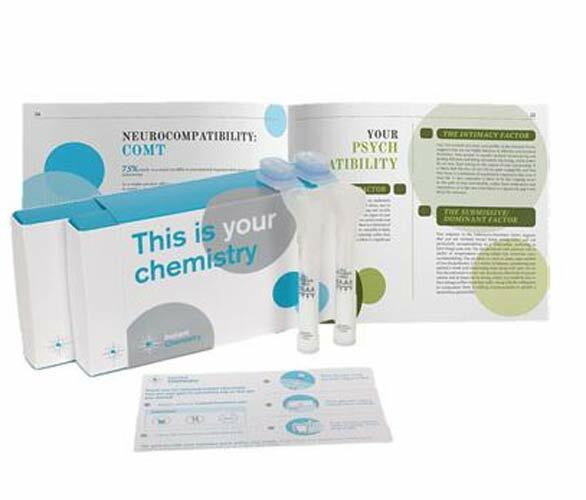 Instant Chemistry examines relationships according to three scientific measures of compatibility: biocompatibility, neurocompatibility, and psychological compatibility. This multi-pronged approach leads to results that are clear, meaningful, and relevant to the couples. You can see at a glance how you stack up with one another. You can see where your relationship strengths lie and where there’s room for improvement. Instant Chemistry delivers personal data without storing any personal information or infringing on a couples’ private affairs. The DNA sample is submitted anonymously to the lab, and Instant Chemistry destroys samples after analyzing them. The Instant Chemistry test cannot be used to trace your genetic history, identify health risk factors, or determine paternity. It is solely for couples seeking to put their relationships under the microscope and examine the personal attributes that make them work well together. Instant Chemistry employs an impassioned team of psychologists, neuroscientists, geneticists, and business professionals. The company’s founding mission is to share scientific data with everyday people and put complex subjects into layman’s terms. That way, arcane knowledge can have a practical purpose. Drs. 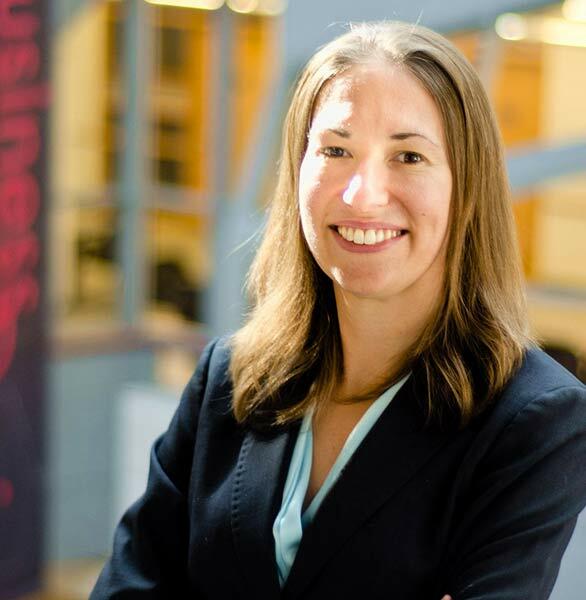 Sara Seabrooke and Ron Gonzalez co-founded Instant Chemistry in 2014. The idea for Instant Chemistry began in a lab. A group of biology students learned about the psychology behind human relationships and longed to share the information with the general public. They decided to start a company where they could make everything they learned in school relevant to ordinary couples who want to work on their relationships. Over time, Instant Chemistry has endeavored to make its test more comprehensive and insightful through collaboration across various fields. Sara told us the team partnered with a psychologist who specialized in couples therapy to add an in-depth personality test to the Instant Chemistry process. This test draws from years of therapy training and experience to identify how two personality types mesh with one another. Today, Instant Chemistry has developed a thorough Love Manual that dives deep into various personality types and compatibility factors. Couples can read this 27-page guide to interpret their test results and learn more about the proven science behind the results. Many couples have already reaped the benefits of the Instant Chemistry test. Some couples have given testimonials saying that the test helped them work on their relationship and feel more united as a couple. Instant Chemistry’s ultimate goal isn’t just to supply information — it’s to dynamically change how couples view their relationships and engage with one another. This company is on a mission to improve relationships by delving into the genetic factors that could cause romance or conflict. In the end, Instant Chemistry’s report is a road map describing who you are as an individual and who you are as a couple. Couples can use this information to navigate rocky areas, communicate in a healthy way, and cultivate a more compassionate view of one another. You may not always know why you click with someone so well or what makes your relationship go the distance while others break up. You may not be able to put into words how you feel on a date or what you experience as a couple, but something is going on beneath the surface that’s worth looking into and locking down. Instant Chemistry has embarked on a journey to describe the indescribable and pull back the curtain to show couples what’s going on in their brains and hearts to make them so incandescently happy. By applying genetic testing to the dating world, Instant Chemistry has empowered daters everywhere to take control of their love lives by learning more about it.